Modern vehicle batteries are so reliable and maintenance-free that you may forget it’s even there! Of course, that can change fast when your vehicle has electrical problems– or worse: fails to start in cold weather. Here on the Alberta Prairies, most of us know our way around booster cables thanks to the harsh winters. Still, it’s always good to be aware of your battery’s age and usage level. Consult Park Muffler’s guide below to see if it’s time to change your vehicle’s battery. As stated above, modern electrical systems practically take care of themselves. Even so, vehicles come with more accessories than ever (GPS, media centres, etc.) and these can put a strain on even the heaviest duty battery. Another surefire way to degrade the condition of a battery is exposing it to extreme cold. Without a block heater, your vehicle’s battery could be taking months or years off its life when it starts a cold car. Dim or pulsing interior lights, headlights or other electrical accessories. Do-it-yourself testers are relatively inexpensive and easy enough for any vehicle owner to regularly monitor their battery’s condition. Full inspections can be done during any routine maintenance here at Park Muffler– our diagnostics systems can detect all electrical issues before they become a problem. 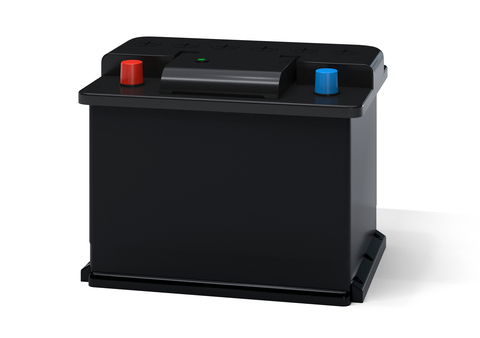 If it is time to upgrade or replace your battery, we also offer a range of replacement services and product selection. Contact or visit Park Muffler today for comprehensive vehicle battery and electrical system service!